Many to Many means that participants in the network will not be connected to other participants in a hierarchical fashion. Instead, connections will span up and down a multiplicity of networks that operate at different scales. Peer to Peer refers to the fact that many of the extra connectivity in the network is going to be horizontal, i.e. across networks. In other words, in order to communicate with nodes elsewhere in the network, it will not be necessary to first go up some hierarchical chain and then back down it somewhere else in the network. Many to Many means the avoidance of bureaucratic obstructions. Do It Ourselves means that rather than relying on large centralized institutions, a vast network of much smaller participants take on the active role of making things. This much larger community of participants is subsequently more diverse, a feature that is crucial to healthy complex systems (as Scott Page has noted in his book “The Difference: How the Power of Diversity Creates Better Groups, Firms, Schools, and Societies”). Michel Bauwens and Vasilis Kostakis have a useful bit of coinage called “DGML” or “Design Global, Manufacture Local.” This dictum helps remind us that the mobility of bits is cheap, but the mobility of atoms is costly. In other words, rather than keeping the information local and making the thing, we can distribute the information and make the thing closer to where it is needed. There are two key infrastructures required for the Thing Commons. First, there is the actual manufacturing or “making” infrastructure. 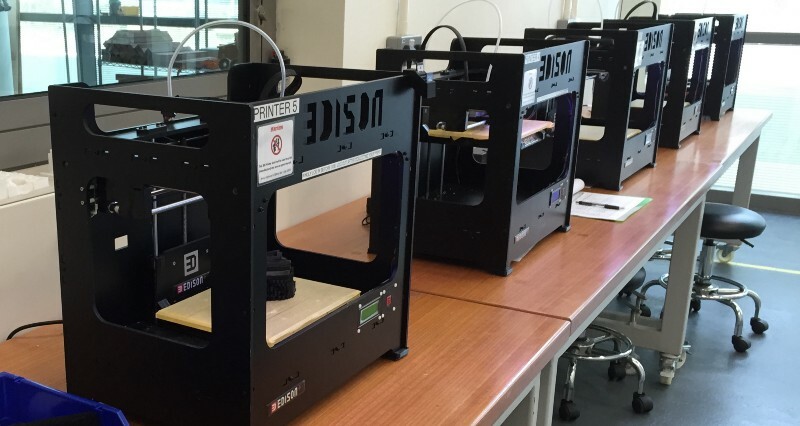 This can range from larger factories, to medium sized “maker hubs”, to small personal-scale 3D printing devices. The primary empowerment of this infrastructure rests in making it easy for new entrants to join the existing network and extend and innovate the current tools and practices. Much of this exploration is already present in the global communities of “open hardware” and 3D-printing advocates. Second, there is the information infrastructure, which (echoing Ostrom) consists of two layers of information tools: 1) information for making things, and 2) information for managing the community itself. In practical terms, this means means building the infrastructure necessary for a healthy Thing Commons. For example, many manufacturing machines require older proprietary equipment and software which, in several cases are barely available from a rapidly disappearing cadre of developers. Often the only alternative is newer (but also proprietary) software and tools that are only available at very expensive prices, resulting in large barrier-to-entry into the market. Barriers-to-entry are the precise opposite of how to build a large scale open network. As people like Yochai Benkler, Michel Bauwens, Eric Raymond, David Bollier, and others have shown, “commons-based peer-production” distributes and coordinates work, but also achieves efficiencies that traditional firm-based economic organization have failed to realize. Imagine rather a global community of tinkerers, but also a global community of physical production houses, that can download the design and can produce things much more locally. But, as complex systems scholar Stuart Kauffman has pointed out, systems change. At one level systems can adapt to be better. At another level they can improve how they adapt. And at even another level, they can adapt how they learn. All of these levels are present in a healthy making ecology. Complex systems “explore and embrace” evolutionary pathways by allowing the parts to evolve and innovate, and then by adopting successful adaptations back into the system or organism as a whole. The open value network model abolishes the distinction between the commercial entity and the community! Given a picture of a future network of production and manufacturing, it becomes possible to subsequently envision various strategies for success. “Managing the resources” means realizing that just as your inputs are some one else’s outputs, your outputs are someone else’s inputs. There is no such thing as waste. This means that connecting to other parts of the system that can effectively utilize your “waste” is crucial. Because wealth-generating ecologies: reduce, reuse, and recycle, these processes become part of the normal operation of the network. “Managing the community” means openness, transparency, and making available the rules and tools that allow for the governance of the resources and community. This refers to how decisions are made, how disagreements are resolved, and how institutional change is handled over time. This means that the system must encourage players to actively contribute to the commons. A crucial element of participation is not only contributing to the existing system but also being able to extend and innovate the network’s operations. This means that the rules of the system must secure the benefits of the commons for all participants, by excluding the capture of those benefits for someone’s gain at the expense of the commons. For some commons, unmanaged open-access can result in depletion, whenever inappropriate incentives interfere with the smooth operation of the commons. Anyone active in open source communities or in public domain science, also knows from experience that shared innovation is happening on a continuous basis in open communities. Gather the potential participants who would benefit from the reduced costs and economic sustainability that results from building shared open infrastructure. Brainstorm, share, and test network designs, standards, schemas, structures, and rules, with those participants. Release early; release often. Faster cycles of exploration and adaptation equal rapid innovation. Whatever persons, communities, organizations, industries, firms, and/or governments (most likely all of the above) facilitate the creation and evolution of the Thing Commons will gain the opportunity to be on the ground floor in establishing key rules and practices. These front-runners will find themselves in the best position to contribute, excel, and succeed in the future economy. great compendium in Pioneering the Thing Commons. In general in the ¨commons speeches¨ we talk about economy. But for some reason nobody talk about market. Could you find any reason?? I feel very well represented by 2p2foundation ideas and vision. But because of my ¨professional distortion¨ I visualize that the commercial dynamics must change (because customers want to play another game), and make exchanges according to a peer-to-peer society with a “commons” conscience. Paul B. Hartzog, one of the coiners of the word "panarchy," is an independent scholar and hacker, and has taught at the University of Michigan's School of Information. Recipient of an NSF IGERT to study complex systems, he has a Masters in Globalization and Environmental Politics from the University of Utah, and a Masters in Political Theory from the University of Michigan. His work on panarchy hybridizes political philosophy/economy, network culture, complex systems, and critical social theory.